This entry was posted on May 14, 2012 at 8:38 am	and is filed under Leadership/Personal Development. Tagged: Mental Fitness Challenge, RESOLVED: 13 Resolutions for LIFE. You can follow any responses to this entry through the RSS 2.0 feed. You can skip to the end and leave a response. Pinging is currently not allowed. Orrin the MFC is going to help so many people in such a short amount of time. Thanks for your sacrifice! The MFC really is sweeping the nation! People everywhere are fired up about it. 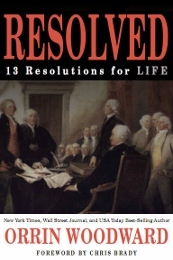 Thanks so much for writing Resolved, without it MFC would not have happened. We agree up in Wisconsin! Tim we heard how much the MFC is impacting peoples lives down in Kansas and we are so inspired! Keep leading the way! Tim, I couldn’t agree with you more. In Wisconsin, we heard how you have helped a group in Kansas share the MFC and how it’s changed so many lives. We were inspired to hear that and share in that excitement. What a great opportunity to learn and grow with your best friends and family. I have seen so many relationships repaired that were once broken. Marriages that were dead that are now thriving. Countless testimonies of financial struggles that have been turned around because of the financial principles taught in the LIFE business. Personally my attitude, marriage, finances, ability to set goals and game plan, and my relationships have all improved. We are so excited that there is a community that the anyone can plug into that teaches the right principles, has the right people to associate with and gives an opportunity to contribute and share their strengths. The movement has started!! We are all in and have hooked our wagon to this wagon train. God bless and Godpseed. Amen!! Can’t wait to get into it further. Tim, I definitely agree with you on this and also want to thank Orrin and the LIFE Founders for putting together this product/program! This is already helping people think better. Life changing! Thanks for leading the way. Orrin… I can just feel and hear people’s ‘mental gardens’ being weeded as I write this! The mental fitness challenge is priceless!! That is a great way to describe the MFC Kirk! Thank you for putting that way =) Let’s change our way to success! The MFC is changing lives, people are excited and sparking up conversations everywhere and people are interested!!! “The soul is being schooled.” I love that! With the MFC and all our LIFE information, many souls will be schooled. Thank you Orrin for your tireless work. There is much to be done in our society and it all starts with us. No more buoys!! God bless. Priceless information Orrin! Since doing the MFC myself I have decided to change the direction in which I am teaching the high school kids this summer. We are now going to do a condensed version of the MFC starting with the pre-assessment and using parts of all three modules to track growth over the 5 weeks I have the students and of course ending with a post assessment. The curriculum is being designed and I can’t wait to report back on the impact I know it will make with these kids when they are finished.Thanks for making this possible! What a great time to be alive, some have lost hope, this is the way to bring HOPE back into lives. Thanks, Orrin. Great thought Barry! 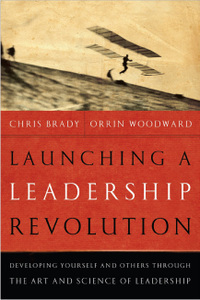 Since leaders are dealers in hope it is no wonder Orrin Woodward and Chris Brady are in the top of the leadership guru charts!! I’m so excited about the demonstrated capacity and ability of the MFC to affect positive changes into people’s lives. Thank you for leading the way! The MFC is a challenge to even the most personal development focused person. What a great jolt of focus, and in some cases re-focus! Thanks for creating such a great systematic product. Thanks for this amazing product. It is already changing our lives as well as lots of our friends. Everyone we have shared this with have been intrigued with most wanting to use the MFC in their lives. “The soul can be schooled….” NICE! So many people are going through life not living the life they’ve wanted to live. As you’ve stated Orrin, they know what they want but not how to get it. The Mental Fitness Challenge http://www.mental-fitness-challenge.com is going to make huge differences in a large number of lives. It’s very exciting to be a part of LIFE! It’s great to see so many people getting excited about the chance to challenge their mental fitness. Thank you Orrin for the road map to the life we’ve always wanted. The MFC program offers something I have not seen before in leadership and self improvement, a way to systematically and with 360 degree input from others to work on the areas of life the may be holding us back.At a price almost anyone can afford, even free with a small amount of effort. If someone wants to get ahead in life taking part in the MFC challenge is a great way to jump start the process, Thanks Orrin for your vision in offering this to everyone. It is ignorance that is expensive, knowledge is priceless. I believe most people want to live the life they’ve always wanted……except they have no clue what that really is! I believe the MFC gives people three tools to help them discover what the life they want is! 1. The self assessment. If done honestly, it will open one’s eyes to where he/she truly is starting from. 3. The book, Resolved, is the single best book to read as a wake up call to what is going on in our country today. Without Resolved the challenge cannot have the same effect. People know something isn’t right, and Resolved shows them what it is and why. Following the MFC, and taking the Resolutions in chunks, like the founders did, makes the MFC a life changing discovery of the life you’ve always wanted! So glad to be part of this!! Orrin you a Chris hit a homerun in personal and professional development, small simple steps to move ahead! There is nothing like the MFC. Thank you for your vision and for holding us all up to a higher standard. This amazing product is already creating personal growth within our group! I love learning how to track my time, and relate it to my success. Thank you so much for launching the MFC program– REAL communities are forming and I am discovering how many people are desperately looking for healthy interaction with others! The MFC completes the picture– now we have the materials to help ourselves live life better AND can direct our friends to high quality information that can help them, too! Orrin Woodward The MFC is Awesome! I am on Day 14 and it has had a huge impact on my life already… Changing my thinking, which is changing my life. Tulsa OK will be different as a result of this material. 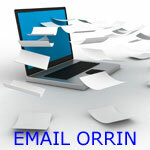 Orrin I am in week two of the MFC and it has been like open heart surgery in several areas. Specifically, I have been very challenged in my relationships with my wife and kids. Also I have seen how much improvement is needed in the area of goal setting and execution (PDCA). Thanks so much for letting us stand on your shoulders! Thank you Orin for creating such an awesome System for developing my leadership ability. Orrin, My wife (Karen) and I are really enjoying the challenge that you and the LIFE leaders have developed in the Mental Fitness Challenge. The Self- Assessment Test was very revealing and very humbling. But we are glad to have a measurable reference point to chart our growth as we work through this together in the next 90 days. God bless you for your efforts to “call us up” to become all that God created us to be. Thank you Orrin! The MFC has already been a fulfilling journey! There are so many things we have gotten from LIFE it is hard to actually narrow things down. Our marriage is great, the relationship with our children is awesome and the way we interact with difficult family members has changed all because we have been exposed to the truth. Our finances have turned around due to the solid financial principles we’ve learned. the improvement in our soft skills has made us more valuable to the marketplace. Now with the MFC our rate of growth is skyrocketing! Thanks for putting together a stellar program! 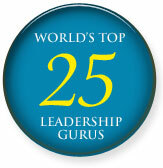 You guys have just “Revolutionized” everything that has to do with leadership and personal development. The MFC is a great step by step process to get people to focus on where they are and where they want to go, but very important HOW to get there! I can’t wait to see how the rest of the industry responds or reacts to this amazing challenge. Take care and God bless! Orrin, Thank you so much for what you and the pc team have put together with the MFC. My company currently has scheduled managers at my level for a situuational leadership class. But there is nothing for my direct reports. Enter the mfc, I am thrilled to have such an impactful tool available that can be shared so easily. I look forward to taking it with my team and seeing progress made. Thanks again! The Mental Fitness Challenge is going to be a game changer and the challenge groups are going to build communities at mach one speed. I do believe it was the missing link to going to 1,000,000 people. We are so proud to have you and Laurie leading the charge! You rocked at Cocalico High School in Denver, PA! Some of the fastest growing churches are exploding because of small groups meeting weekly and the LIFE community will explode because of building relationships and helping people. Loving them where they are at and encouraging them to become the best and live the life they always wanted! With God’s help, nothing is going to stop us! The Mental Fitness Challenge has been a fascinating learning and thinking journey for me. I can feel my elephant starting to warming up to my life’s dream. 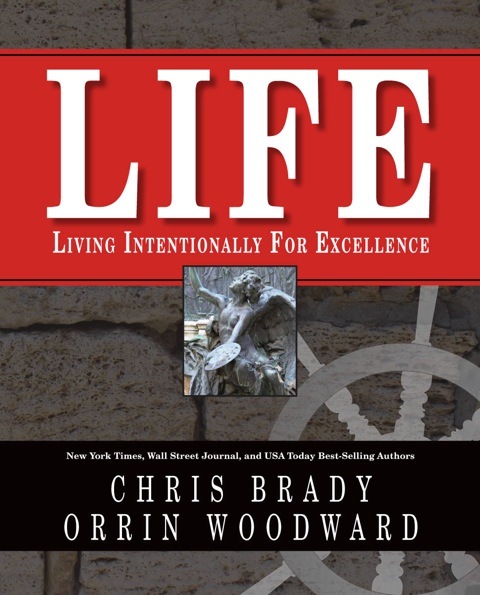 Thank you Orrin and the Life Founders. Orrin, thank you and the PC for your effort in creating the MFC… it is already changing lives! you have re-introduced a set of values that have been lacking in America! The founders would be proud! The stories of the impact of the MFC just keep rolling in! It can not be overstated how great it is to have something that can help any person get better in any area of life they choose to! Before the MFC, I was completely self deceived into believing I was a rock star at certain areas in my life. The 360 degree feedback is amazing with this challenge. I now know exactly where to work on both my strengths and deficiencies. I can’t believe this kind of information is available for such a reasonable price. Please don’t take this the wrong way, but the value you have provided into my life is literally worth millions of dollars. Many thanks goes to Cody Newton for introducing me to the MFC, and Orrin Woodward and Chris Brady for developing such a complete product line. “Our greatest fear should not be of failure but of succeeding at things in life that don’t really matter.” The MFC is a world-class tool and process to help us develop in the areas that really matter. Love it!!! I received my first 360 feedback assessment today and embrace the honesty of the person who completed it and the challenge that lay ahead for me. Eye opening … I have work to do and am eager to do it. Thank you for the amazing tool to help me an others in their growth! The MFC is tilling the complacent ground in our lives and setting us up for growth! How exciting and refreshing! After sharing the MFC at a ladies’ book club meeting, the response was “People need to know about this!” The cd, 13 Resolutions, moved one lady to tears. She is “convinced it will be a great thing for families and wished she had learned such powerful information when she had children in the home”! We have much respect and gratitude to the creators of such a life changing challenge! Thanks for sharing! Don and I also “have much respect and gratitude to the creators of such a life changing challenge!” And for the leaders of TEAM Vip Phalanx!